The Pan American Health Organization (PAHO) said 3 South American countries (Bolivia, Brazil, Peru) have reported yellow fever virus cases during 2019. And, Brazil is once again reporting a substantial outbreak. On March 6, 2019, Brazil confirmed 50 human yellow fever cases, including 12 deaths. Bolivia has recorded 1 case and Peru has recorded 9 cases. This is important news since over 2.8 million Americans visit Brazil each year. 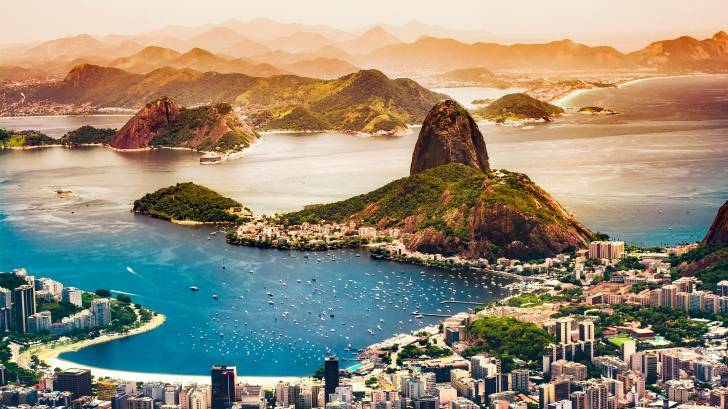 Since early 2018, a number of unvaccinated travelers to Brazil contracted yellow fever; many of these travelers were infected on the island of Ilha Grande in the Rio de Janeiro State. Several of these infected travelers died. As of March 7, 2019, the number of human cases reported during the current season is substantially lower than observed during the previous season. During the 2017-2018 yellow fever season, Brazil reported 1,376 human cases, including 483 deaths. In the current seasonal period (2018-2019), yellow fever cases have been reported in the states of São Paulo (46 cases) and Paraná (4 cases). Among confirmed cases, 90 percent (45/50) are male and the median age is 43 years old. All of the deaths occurred among confirmed cases in the state of São Paulo. In the 2018-2019 seasonal period, most of the confirmed epizootics (90%) were reported in the Southeast Region of the country. Which means, there is a possibility of yellow fever reaching bordering countries, such as Argentina and Paraguay. The yellow fever illness ranges from a fever with aches and pains to severe liver disease, with bleeding and yellowing skin. There is no medicine to treat or cure a yellow fever infection. In response to Brazil’s yellow fever outbreak, the Centers for Disease Control and Prevention (CDC) issued a Level 2 Travel Alert during May 2018 recommending visitors to Brazil protect themselves by getting the vaccination at least 10 days before departure to Brazil. Yellow fever is a disease caused by a virus that is spread through mosquito bites. International travelers can find convenient locations to schedule a vaccination appointment by visiting Vax-Before-Travel. In the USA, the Stamaril vaccine is approved and has a clinical efficacy profile similar to the YF-VAX vaccine, and is available at select locations. The CDC Vaccine Price List provides private sector vaccine prices for general information. And, vaccine discounts can be found on this webpage.